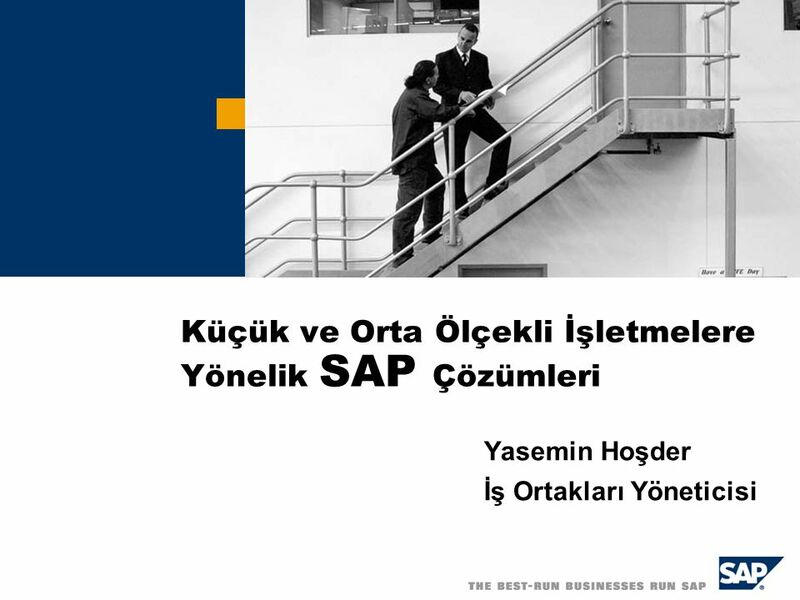 Yasemin Hoşder İş Ortakları Yöneticisi At SAP we understand the business challenges that face your organization. We are here today to introduce you to an affordable, easy to use business automation solution that was built for companies just like yours. 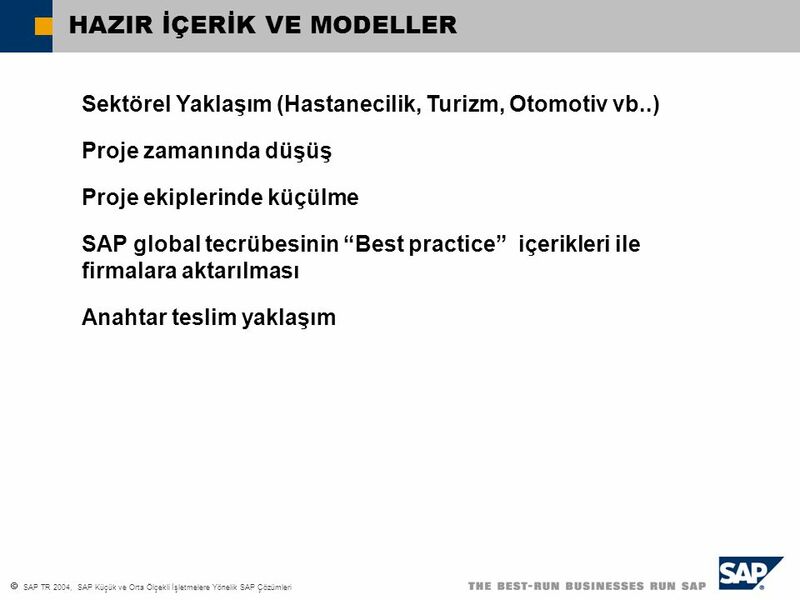 During the presentation we will briefly review current challenges, highlight key features and benefits of the SAP Business One product, provide a high-level overview of the product’s architecture – not too technical we promise – and demonstrate to you with customer examples that we have proven results. We’re confident this technology can make a dramatic improvement in your business processes, and improve your bottom line. 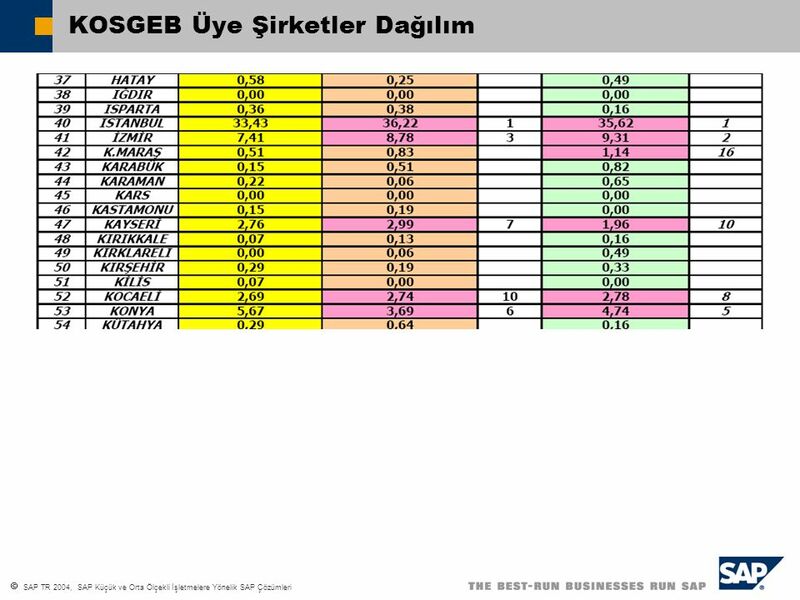 İşletme içindeki tüm fonksiyonları içeren tam bir resim çekebiliyor muyuz? Kritik ve güncel bilgiye anlık erişim sağlayabiliyor muyuz? Müşteri bilgilerine tam erişimimiz var mı? 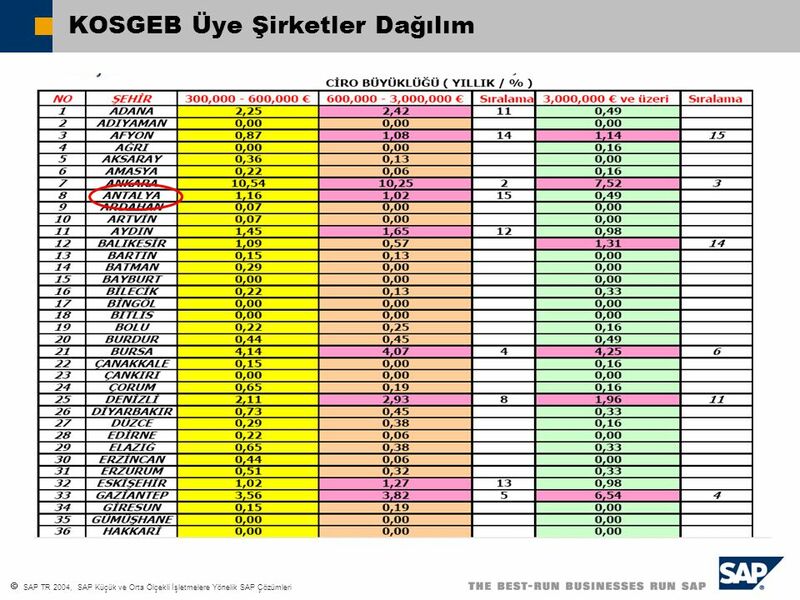 Rekabet baskısına karşı operasyonel süreçlerdeki değişen koşullardan anlık haberdar olabiliyor muyuz? 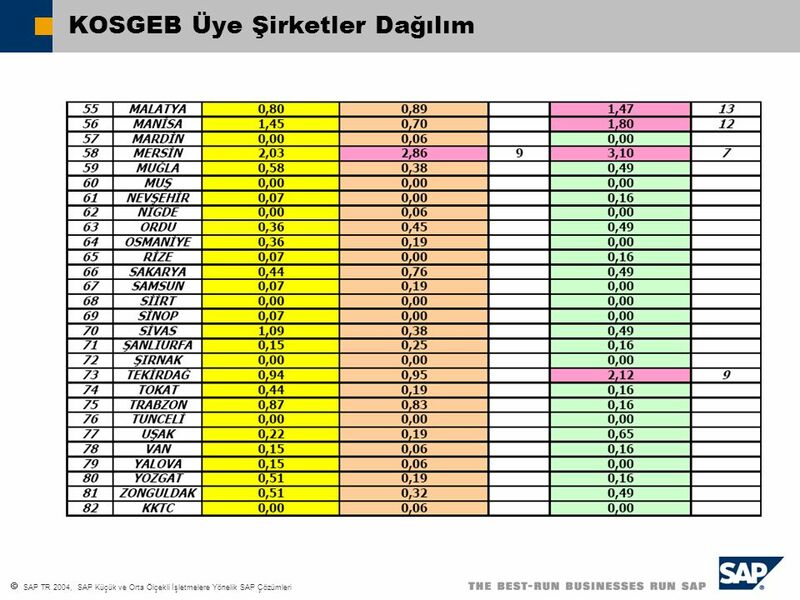 Malzeme planlaması ve ürün ağacı proseslerimiz, müşteri ihtiyacını üretimle etkin olarak karşılayabiliyor mu? 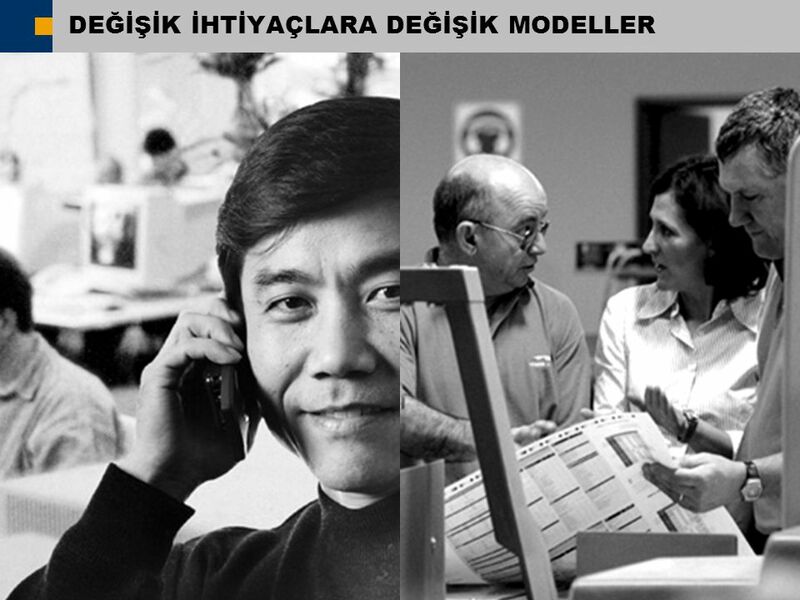 İş yönetim çözümümüz iş ihtiyaçlarımızdaki değişikliklere kolaylıkla adapte oluyor mu? 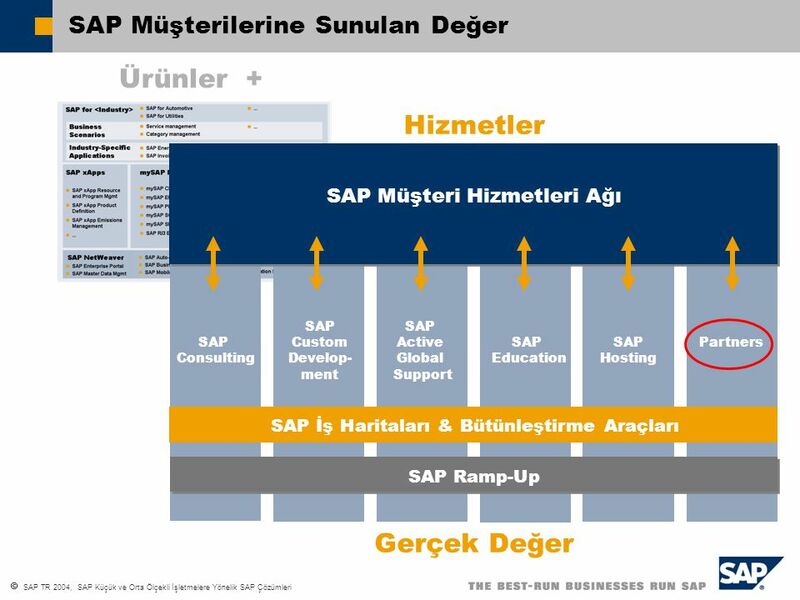 Small and mid sized business, like yours, turn to SAP to help address their most pressing business challenge – improving profitability. Today’s economic conditions are especially challenging for companies. 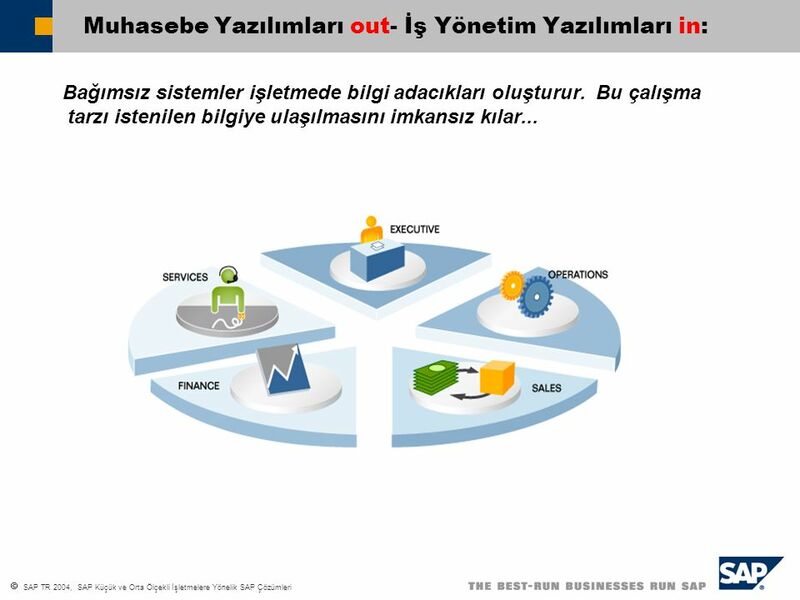 To succeed in this environment, companies need an integrated solution designed for the visionary executive who wants and needs to have full transparency into his or her business with one source of customer data, state-of-the-art management control tools, and new visibility into sales processes. What you don’t need is another accounting system that grew up trying to be a management/business tool. 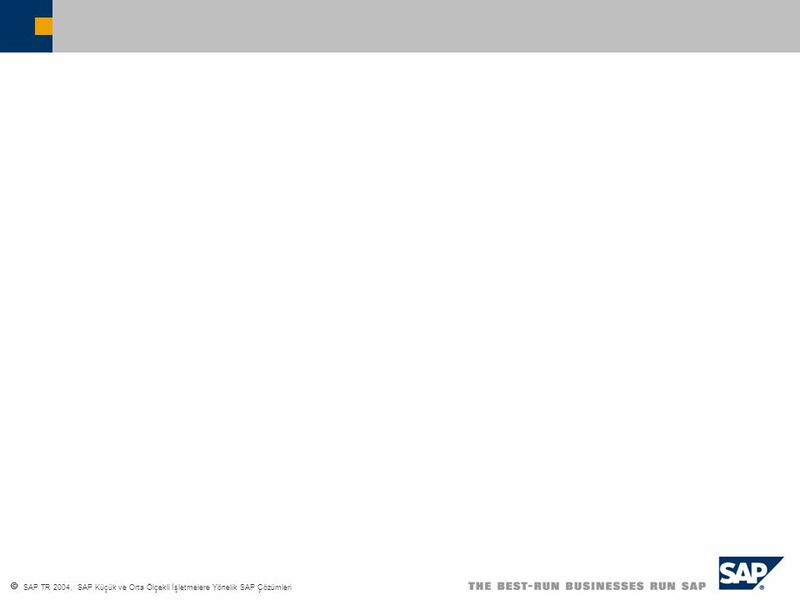 Have you reached your profitability maximum? Can you do better? We believe you can with SAP Business One. By compressing the time it takes to process orders, manage inventory, conduct financial analysis, and understand your prospects and customers buying behaviors. 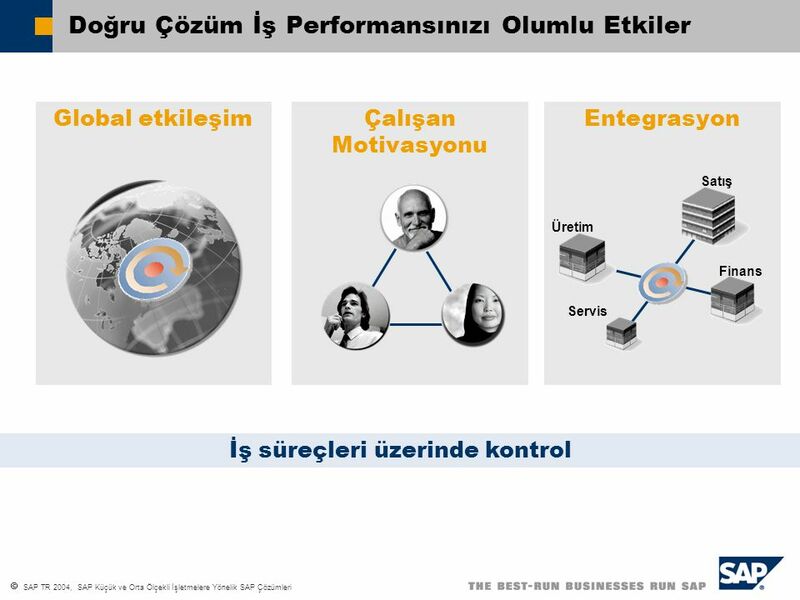 Global etkileşim Çalışan Motivasyonu Entegrasyon Satış Üretim Finans Servis İş süreçleri üzerinde kontrol The benefits of choosing the right business automation solution are numerous. Developing new business opportunities and growing profitably is a struggle. Business owners worry that they lack sufficient control over their business operations and sales processes. With little or no ability to share data among employees across the organization, smaller companies are often unable to get the right information to those who need it to make critical business decisions. To support new growth and profitability, smaller companies need an affordable, powerful business solution that makes it easy for everyone in the organization to get the information they need in real-time. Instead of discrete financial, inventory, and sales management applications, these companies are looking for an integrated solution that provides the visibility and control they need. Two good examples of subsidiaries ... 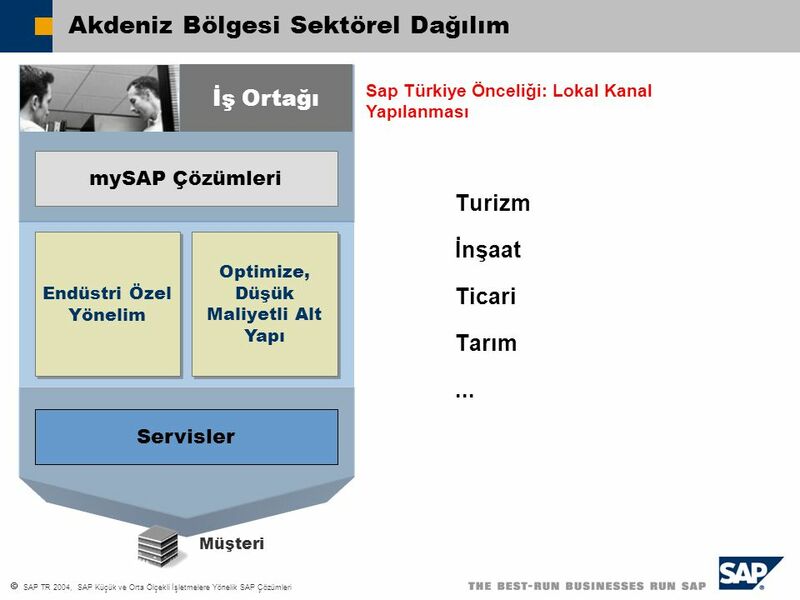 Different needs, different challenges, neither are a good candidate for a full mySAP Business Suite implementation. What’s the solution? What can we do? 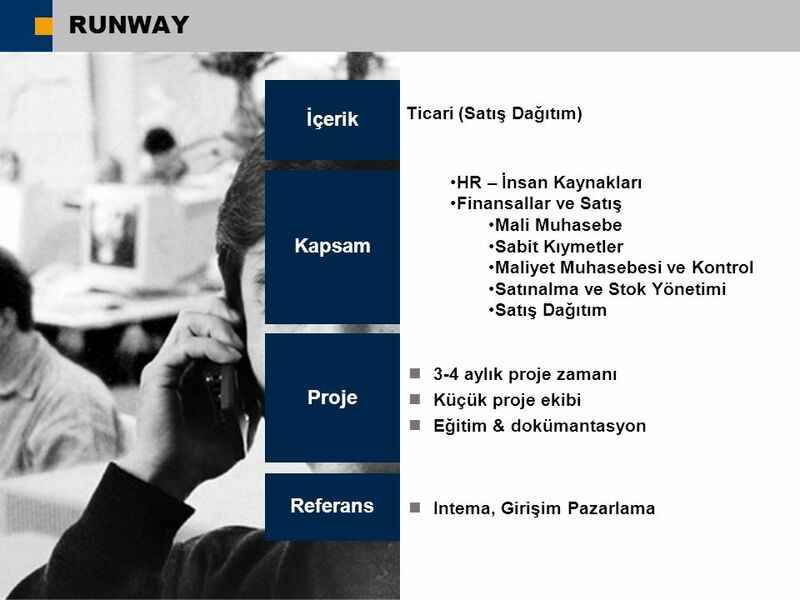 İÇERİK 1 ECZACIBAŞI BİLGİ İLETİM RUNWAY Let’s make up a real world example. [Or pick an example from the customer. 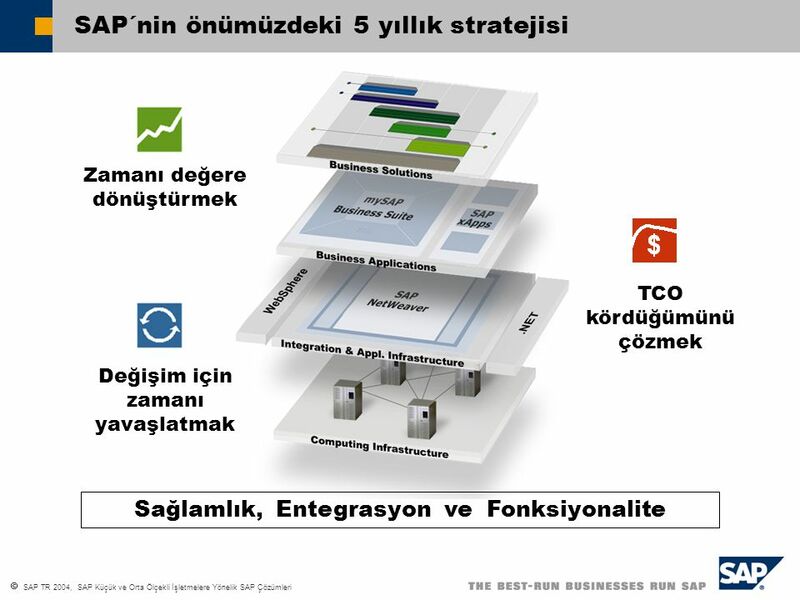 What’s the least likely subsidiary to successfully implement mySAP Business Suite? How big are they? What issues are they facing?] Say we’ve got a sales office in Hong Kong that’s doing great for us. The guy we talk to is Gong Zhang Wu. Great guy, but he doesn’t have any IT support, not many users, and the size of the operation doesn’t justify a lot of investment. Right now he’s keeping his books with Excel, and every month he puts together an abstract for us, and we shoehorn it into our system. 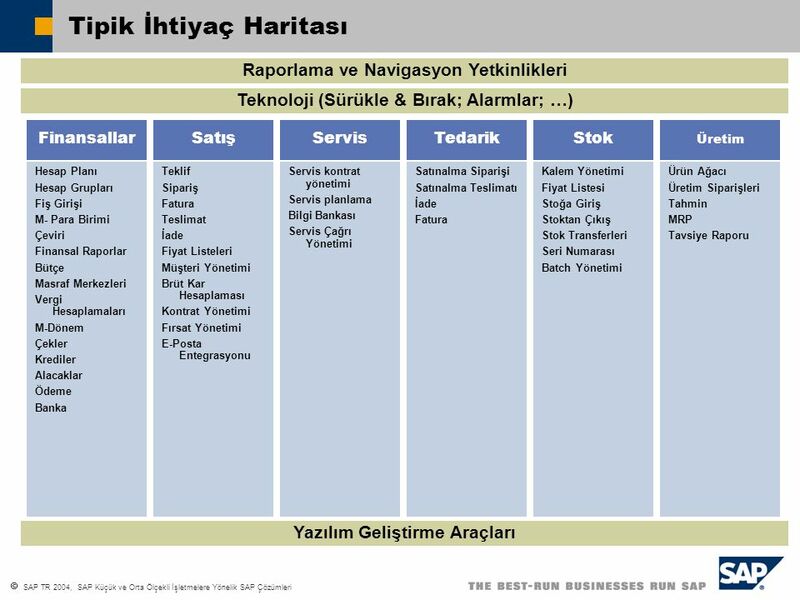 Satınalma ve Stok Yönetimi Satış Dağıtım MRP ve Üretim Planlama Kalite Yönetimi Bakım Yönetimi Finansallar ... Proje 3-4 aylık proje zamanı Küçük proje ekibi Eğitim & Dokümantasyon Opsiyonel Ek Kapsam (Bordro, konfigürasyon ..) What is June getting with mySAP All-in-One? Each mySAP All-in-One solution is an integrated product built on industry best practices supporting automated workflow and processes. 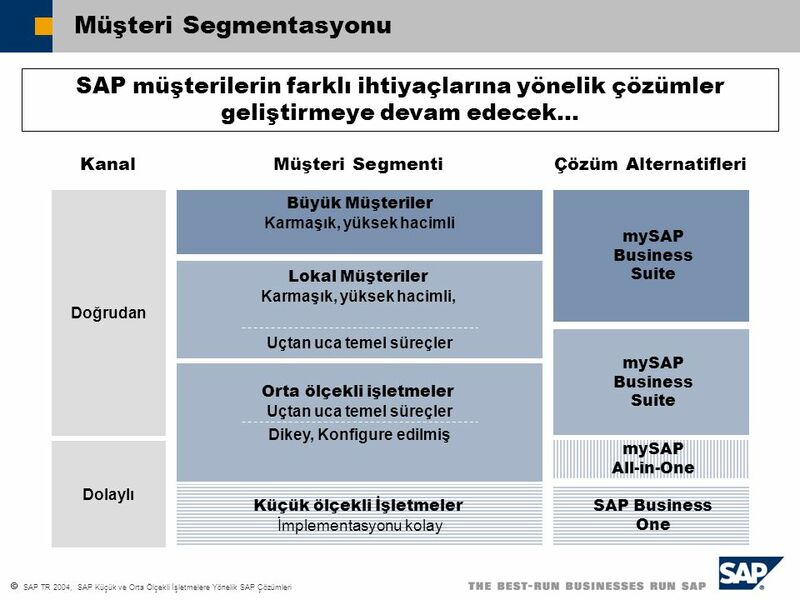 Built on mySAP Business Suite, a typical solution might include accounting, HR, SCM, warehouse management, and product planning. 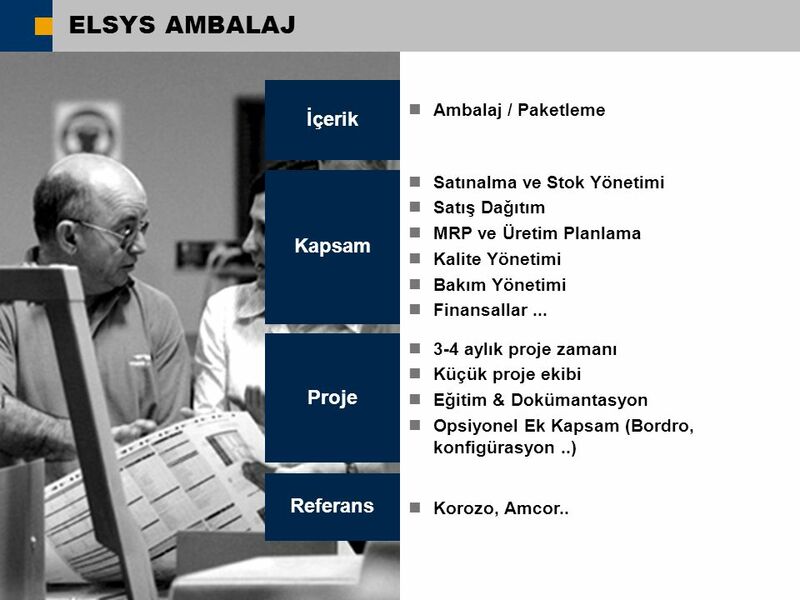 Referans Korozo, Amcor..
REKLAMCILIK Yrd. 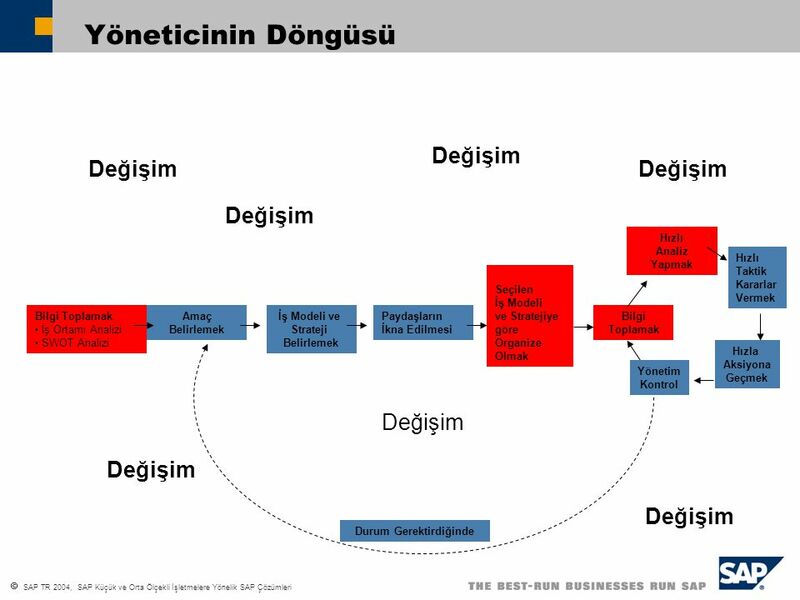 Doç. Dr. Doğan AYDOĞAN. Reklamda Kampanya Süreci ve Strateji  Kampanyanın amacı açık ve doğru bir biçimde saptanmalıdır.  Pazarlama.